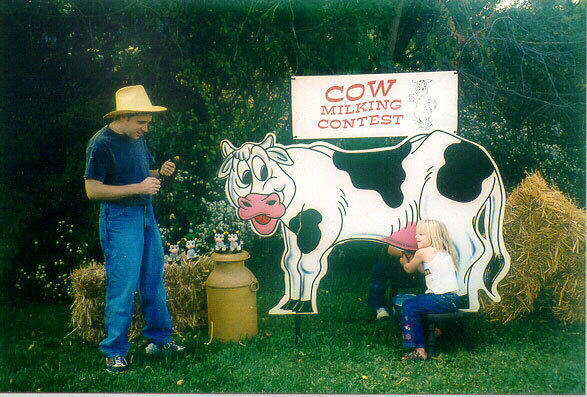 Ever wanted to know what it was like to milk a cow? Get your farmhand ready for this silly race – time yourself against others or use a partner to see who can fill up the bucket the fastest. Luckily, you won’t smell like a cow after you’ve won! **Customer provides water source for milking game.